(Look) How Extensive Was Washington SyCipâ€™s Corporate Boardroom Network? (Look) How Extensive Was Washington SyCip’s Corporate Boardroom Network? Days after Philippine business icon Washington Z. SyCip passed away on October 7, many of the country’s biggest conglomerates and companies such as the SM Group, JG Summit Holdings and the Lucio Tan group, and many more, published full-page obituaries in several Philippine newspaper extolling the virtues of the business icon while highlighting the SGV & Co. founder’s close relations with their respective groups. 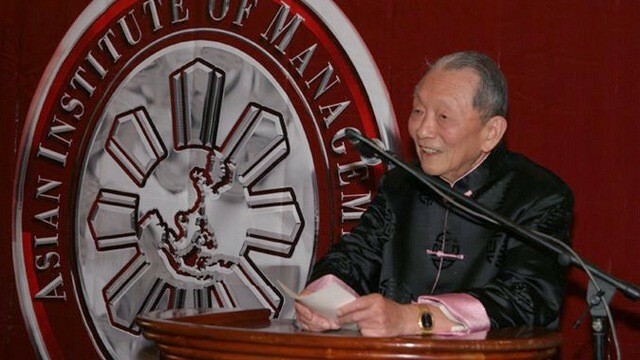 To be sure, the groups that took out paid advertisements in several local newspapers to publish tributes to the country’s foremost business icon are not the only companies where he served as a member of the board of directors. By our count, he was associated with close to 40 companies, both listed and unlisted, philanthropic and profit-oriented, at one time or another in the past several years. Related story: Do Listed Firms Where Washington Z. SyCip was a Director Perform Better? Mapping SyCip’s boardroom network also allowed us to identify a list of eight fellow directors who worked with SyCip in three or more than companies, making them quite special if only for the frequency of their interactions of the late SGV & Co. founder. Considering that SyCip likely served in the most number of companies as director, independent director, adviser or trustee compared to any other Filipino business leader, it could be a worthwhile exercise for future business researchers to develop a variant of the Erdös Number for Washington Z. SyCip. Named after the late Paul Erdös, who is considered the most prolific mathematician for co-writing the most number of mathematical papers in his time, the Erdös Number measures the “collaborative distance” between Erdös and other mathematicians. Those who have co-written a paper with him are assigned an Erdös Number of 1. Those who have co-written papers with somebody who has co-published a paper with Erdös are given the number 2, and so on. If this sounds vaguely familiar, that’s because it works almost the same way as the “Six Degrees of Kevin Bacon” game in the 1990s where participants use their knowledge of US movies to connect anyone to the American actor, who is considered one of the most prolific entertainers for appearing in a large number of films. While Erdös may be prominent in math and Bacon in American movies, Washington Z. SyCip is undoubtedly tops in Philippine business.